Students at Greenfield Community College have been learning valuable lessons as part of Rights Respecting Day. Year 8 students across both the Aycliffe site and the Sunnydale campus came together to learn more about choices and consequences in society and what it means to have your rights and freedom taken away from you in relation to crime and punishment. Students took part in a number of activities which brought home the effect of crime on both the victim and the criminals involved. ‘Street Scene’ gave an excellent demonstration of how petty crime such as ‘breach of the peace’ and ‘drunk and disorderly’ can impact upon society. Students were given the chance to participate in role play acting out scenarios in a light-hearted setting that achieved valuable results as students appreciated the effect on the victims, police time and ultimately the perpetrators. 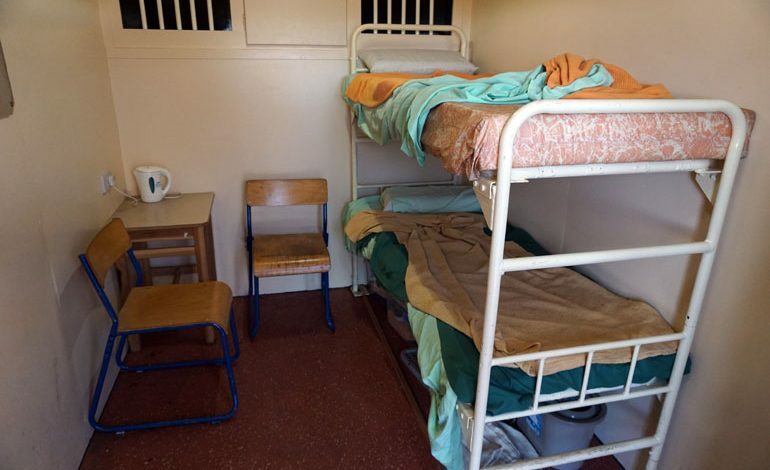 Visitors from ‘Prison Me No Way’ made a real impression on students as they were able to access their mobile prison cell (pictured above) and learn about the conditions and consequence of criminal activities. Inhabiting the small space and sparse interior was particularly enlightening and volunteers from ‘Prison Me No Way’ were on hand to explain the daily routines of prisoners and answer the many questions raised by students. Students were also able to hear about the experience of prisoners first-hand as individuals spoke sincerely about the poor choices they had made in the past and the consequence of their actions. “Students engaged well and were able to ask appropriate questions,” said the school. “There were also sessions on hate crime and harassment and courtroom drama as students played out scenarios in a magistrates court. “The day was a great success with students gaining a broad base of knowledge about the consequence of crime.